As they say, there is no time like the present time to do about anything that will reap you rewards personally or financially. Most people like to dream of financial independence, but few people achieve that goal because they simply don’t follow through on creating a budget and a plan. Saving Up for an Emergency So, in order to realize financial independence, you need to create a savings plan, particularly if you want to get rid of excessive debt once and for all. Developing a well thought-out budget entails saving your money so you have enough cash left over for living expenses for approximately three months. In the current economy, many financial experts suggest that people save up to six months of living expenses – enough to cover a financial emergency or employment loss. Stop Paying Out More than What You Make If you haven’t created a financial plan to help you achieve your goals, it’s really quite easy to grasp once you learn the basic, fundamental rule – Simply stop paying out more than you make. In order to apply this measure, you have to determine just how much you are culturally spending day to day. Tightening the Reins Most people don’t realize how much money they are spending or where it is specifically going. So, you won’t be alone if you have not budgeted before. If you have been sabotaging yourself financially, you may want to read the following information to learn how you can keep a tighter rein on the money you make and spend. Establishing Sound Budgetary Habits are In order to get your financial house in order, it’s a good idea to be aware of what you owe, what you have charged, and what checks you have written for the month. That means thoroughly reviewing your credit statements on a month-by-month basis, opening your bills when you receive them, and balancing your checkbook. Examine Your Credit Statements Each Month For example, when you look at you credit statements, you need to closely examine them. Make sure that they are free of any unauthorized charges or questionable fees. Have the terms of the credit agreement changed? You need to be aware of any discrepancies or alterations so you know where you stand. Notify the credit issuer without delay if you happen to notice anything of which you want to question or dispute. Look at Your Bills When You Receive Them Don’t leave your bills turn into a pile of unopened envelopes. Address the task immediately. You won’t make your monetary problems slip away by ignoring the paperwork. Neither will it help you improve your situation. In fact, not opening a bill can make your circumstances just that much worse. Face any budget difficulties straight on to ameliorate a financial issue or to work out a solution for a sizable debt. A Better Allocation of Funds Balance your checkbook and record your ATM withdrawals. Writing down each transaction can help you avoid NSF fees or penalties. Fortunately, mobile and online access makes it easy for account holders to regularly check their balances. Look at what you are working with so you can make wiser credit decisions and better allocate the money you spend. Make Use of Automatic Bill Payment to Make Sure You Pay Your Bills on Time Don’t get into the habit of paying bills late as it can cost you in late fees and reduce your credit score. So, take control of paying your bills – use the technology. Establish automatic bill payment through your credit union or bank. Keep a Monthly Spending Record One of the hallmarks of good monetary management is establishing a budget in order to control spending. One activity complements the other. If you cannot control your spending then, you cannot become independent financially. So, keeping track of our finances is vitally important. That means keeping your receipts and calculating the expenditures at month’s end. Create a Budget So You Know Where You Can Save People who add up their receipts for the first time often are dismayed as well as astonished about what they are paying. By looking at your expenditures, you can create a budget that will better help you save what you make. Stick within Certain Parameters When Using Your Credit Card If you want to learn to manage your credit, you need to to keep a credit card balance of no more than 30% of the credit limit you have available. So, if you have a credit limit of $500, your balance should not be higher than $150. The best rule of thumb is to charge only what you can afford to pay when the bill comes due. Take Out a Payday Loan, if Necessary Try to stash away at least a month’s worth of income for any monetary emergencies. To initiate the process, try to save about 10% of what you earn, and place it in savings each month. Use the fund to pay for unexpected repairs. If you have a couple of unanticipated expenditures then, you can, at least, afford to take out a payday loan to cover the added cost. Review Your Insurance Protection In addition to your monetary in-go and out-go, you also need to look at your insurance protection. Be careful about carrying to much or too little insurance. Too much coverage is expensive as is too little, so go over your policies every year. Have You Made Some Changes that Affect Your Insurance Coverage? Take a look at your policies for auto, home, and life, and make sure the amounts are in sync with your current coverage needs. The amount of coverage may need to be adjusted. For instance, you may have made some upgrades to your home or you have a family member (such as a teen) driving your car. Paying for coverage as well as making sure you are adequately insured is essential to your financial health and the well-being of your family. Review Your Monetary Goals – Develop a Plan Take a look at your financial goals. What are you doing to accomplish them? Some goals may be short-term. Maybe you are saving to go on vacation. Other goals, such as saving for retirement or funding your child’s education, may not take place for a while. So, write down your financial goals and think about how you want to execute them. Unfortunately, the money won’t magically appear. 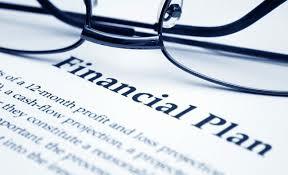 It’s up to you to work out a plan to realized your financial objectives. Budgeting – A Challenge in a Spend-friendly Climate Naturally, it is easy to see why people hesitate to live within their means. After all, society is made up of ads and promotions – all urging people to spend rather than save. People learn that if they can’t pay for an item with cash, they can supposedly use their credit card instead. Therefore, developing a savings plan and budget can be a challenge when people are so used to using plastic to obtain just about anything. Prioritize Your Financial Objectives However, that challenge is not insurmountable once you sit down and think about your financial future. For example – would you rather be paying off an old debt on something you no longer own or would you like to enjoy financial independence? Needless to say, it’s better to walk on a financially solid path than to consistently limp from one payday to the next. So, take some time out to consider your priorities financially.